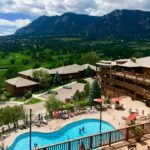 Cheyenne Mountain Resort offers family friendly accommodations close to major Colorado Springs attractions like Pikes Peak, The Broadmoor, Old Colorado City, and Cheyenne Mountain Zoo. With a variety of amenities for every member of the family, this is a place to call home for a few days while exploring the area and enjoying resort activites. 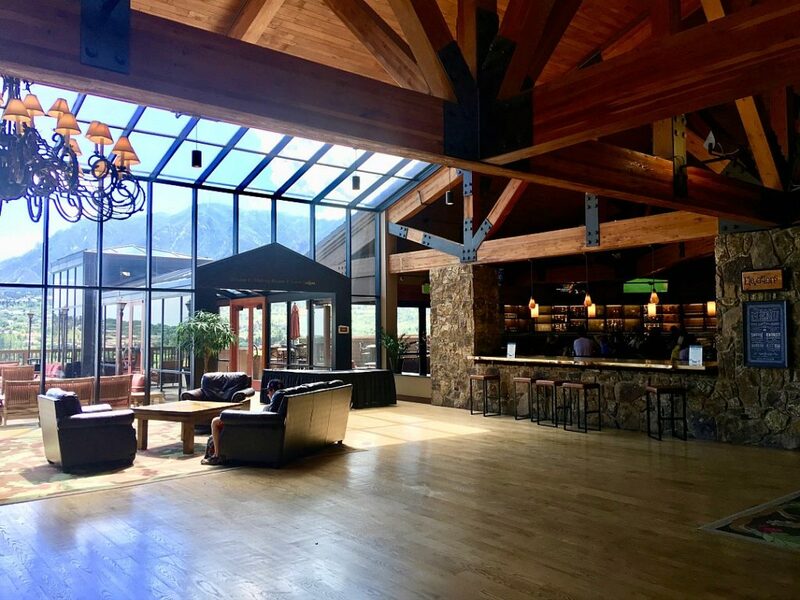 The lobby at Cheyenne Mountain Resort is spacious and highlights the resort’s location with floor to ceiling views of the Rocky Mountains. 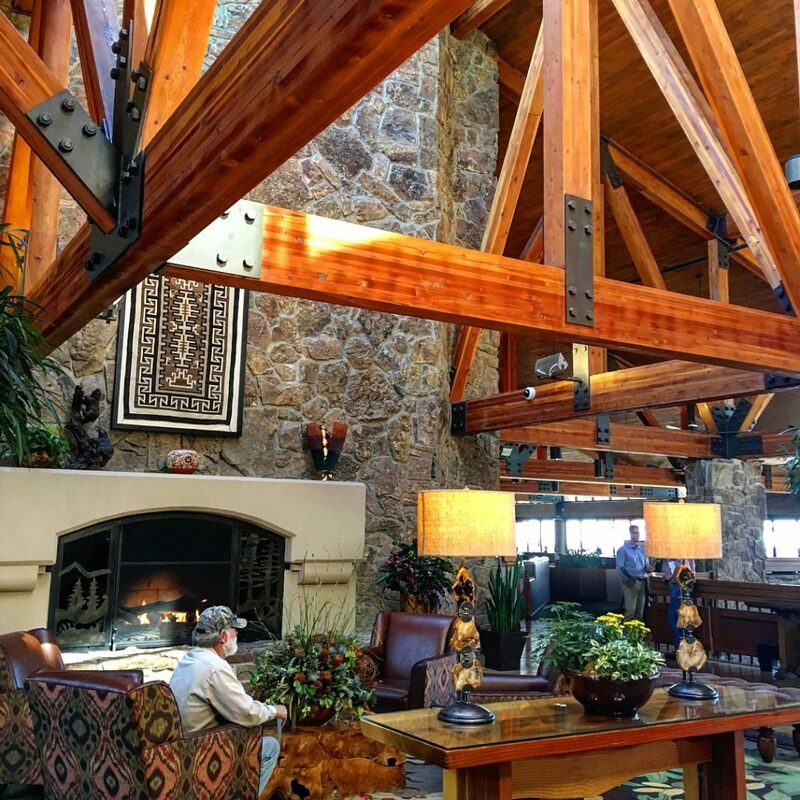 Tall ceilings with wooden beams, a chunky stone fireplace and plenty of comfortable seating welcomes you with open arms. 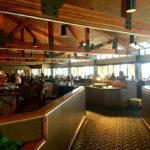 The warm and inviting atmosphere feels cozy and homey, especially combined with a super upbeat staff. There are decks and patio space that provide wonderful places to soak up the views. At night the place glows with light from the fire features and bistro lights. 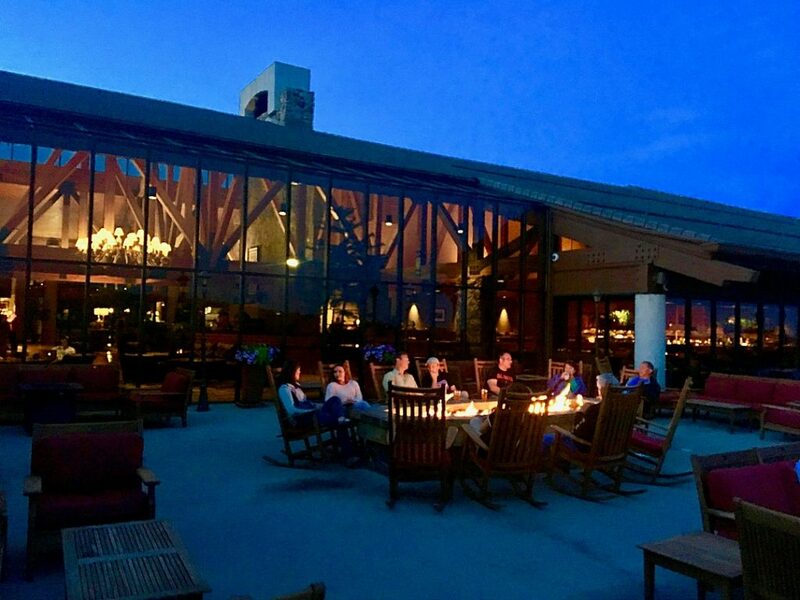 The resort is even more cozy after sunset. 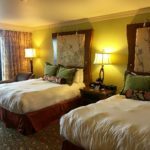 We had a basic room with two queen size beds. 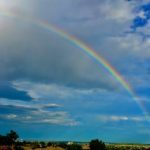 Colors are earth tones with green, brown, rust and gold. 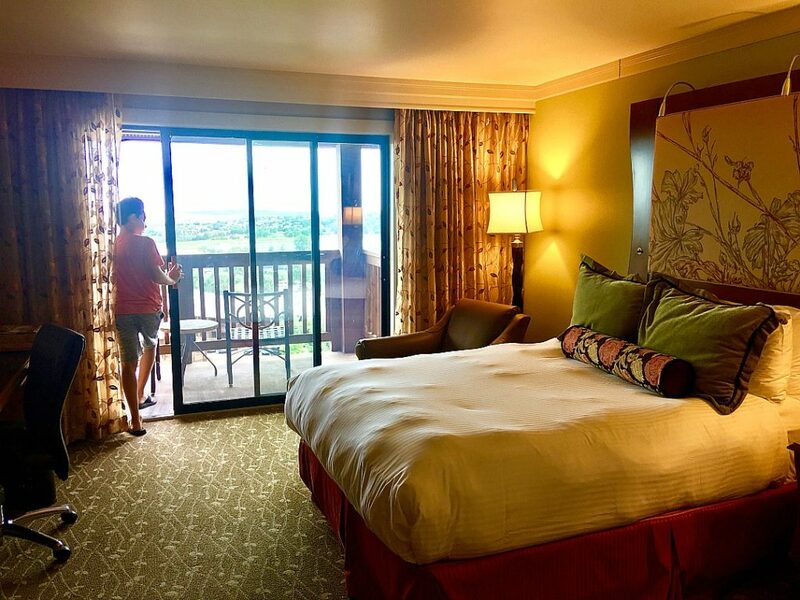 The balcony with gorgeous views was my favorite part of the room. 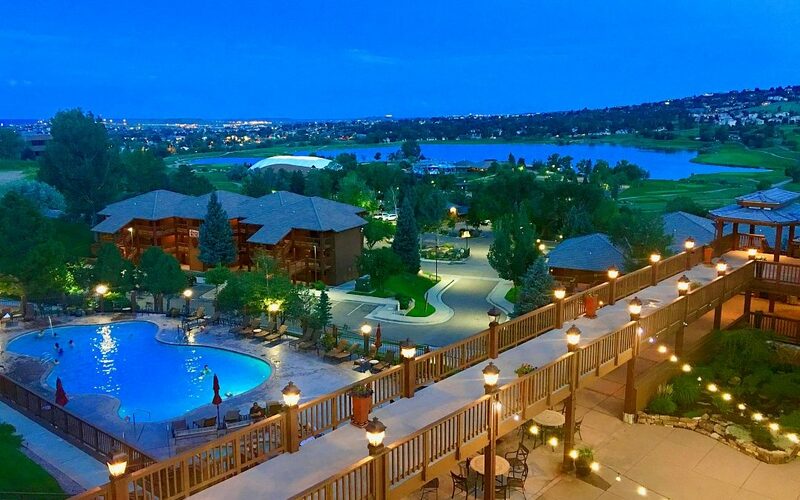 In the day the views are wonderful, but at night they are even better with twinkling lights all along the foothills. Three pools offer three types of enjoyment. 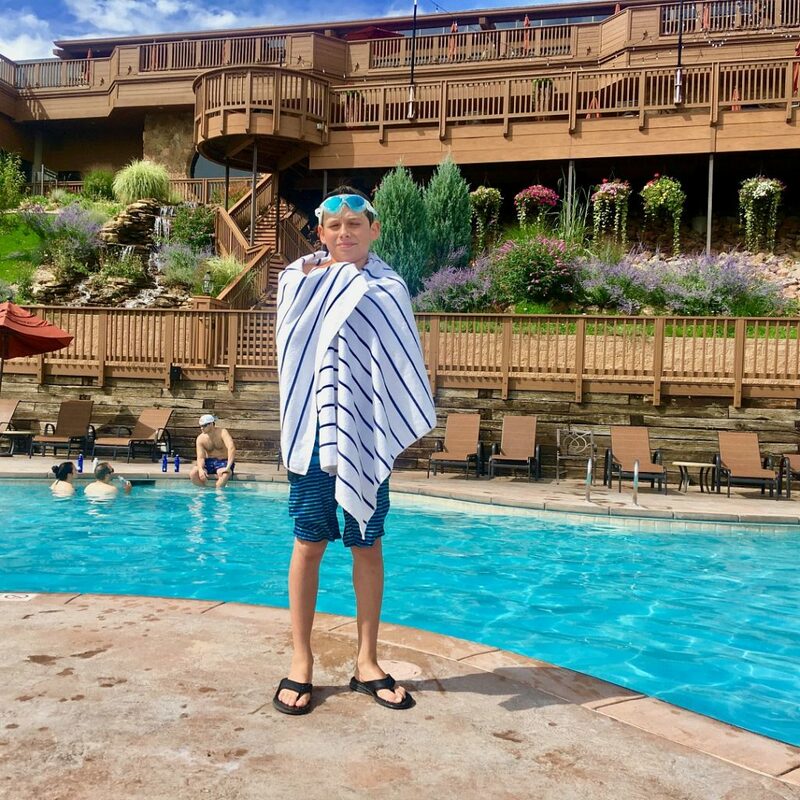 The main pool closest to the lodge is a family friendly pool with food and beverage service. There are umbrellas and loungers, and it’s a wonderful place to chill out and enjoy the resort. We enjoyed it during the day with sunny views, and also at night with stars above. 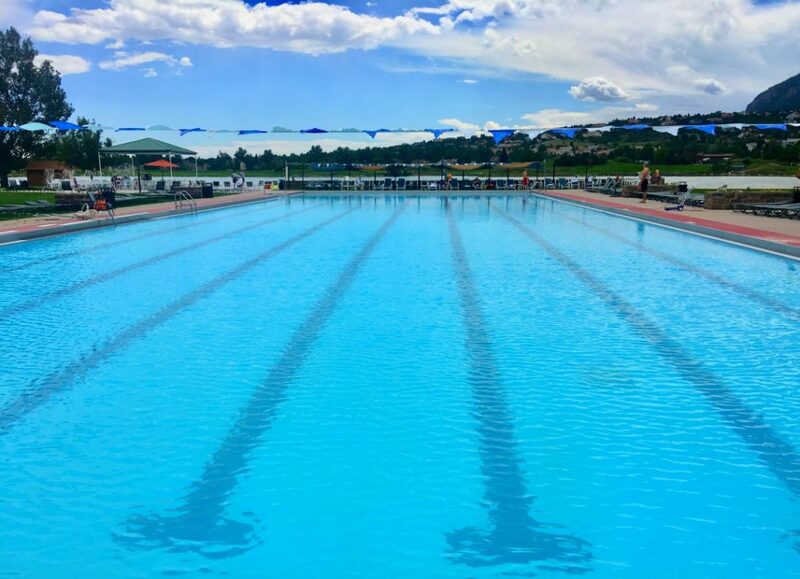 There’s an olympic size pool for swimming laps during specified hours in the mornings, then it becomes a hopping family friendly pool. It’s enormous with lovely lakeside views. In that same area is a small adult-only pool and a splash area for little ones. 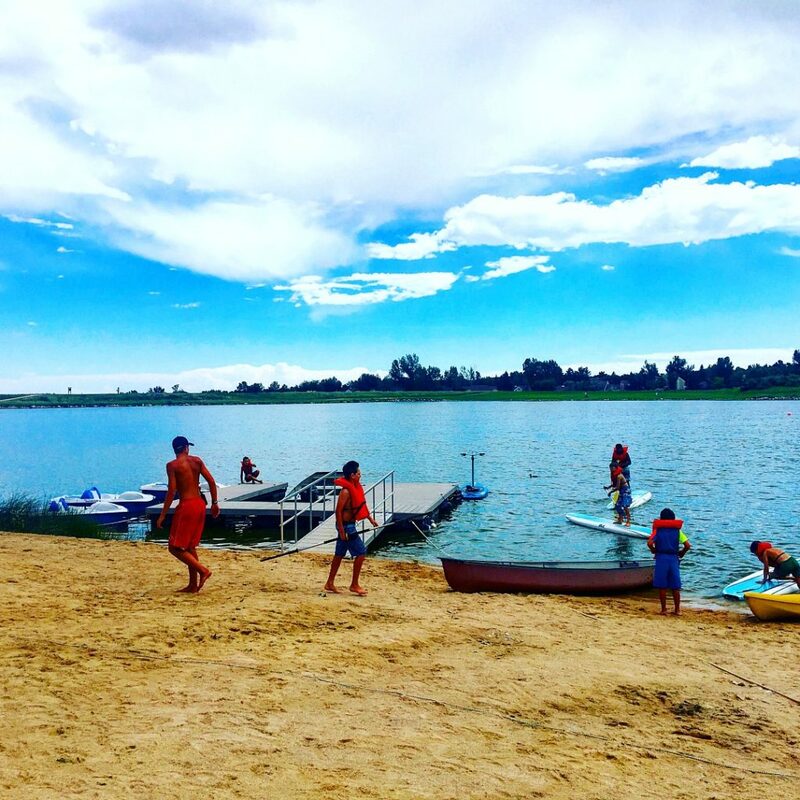 The 35-acre lake is one of the highlights of this property, with canoes, paddle boards, pedal boats, pedalboards and kayaks. I was so impressed with the life guard on duty while we were there. He had a gaggle of kids and managed them beautifully and joyfully. The kids were having a blast and he seemed to be enjoying watching out for them. My son loved his time at the lake and had it not been for summer thunder storms, he would have spent all his time there. 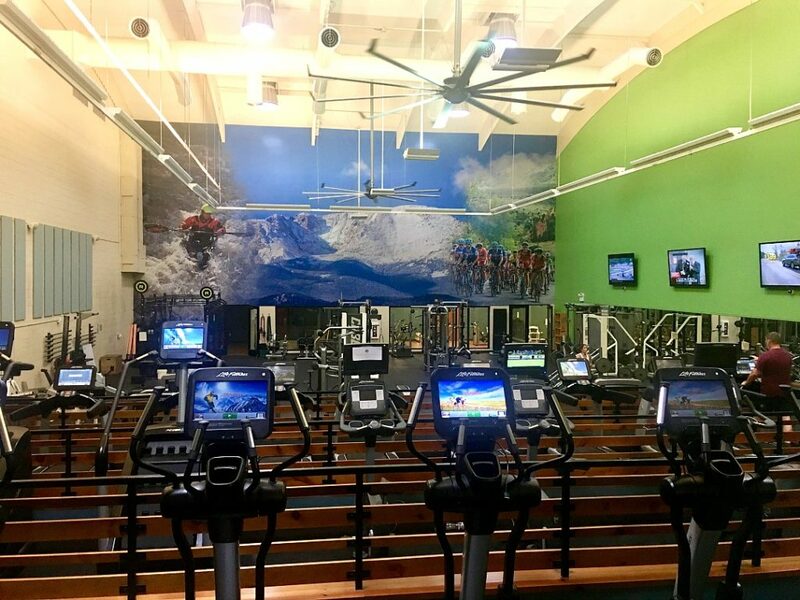 If you have time to hit the gym after enjoying all the resort’s other activities, you’ll be pleasantly surprised by wide open space and pleasing industrial atmosphere at the fitness center. 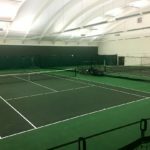 If you like tennis, there are 17 tennis courts including indoor, outdoor, and two hard to find clay courts. Basketball and volleyball are also outdoors near the lake. I’m not a golfer but if I were, this would be one heck of a place to play. Look at those amazing vistas and bright green grass. 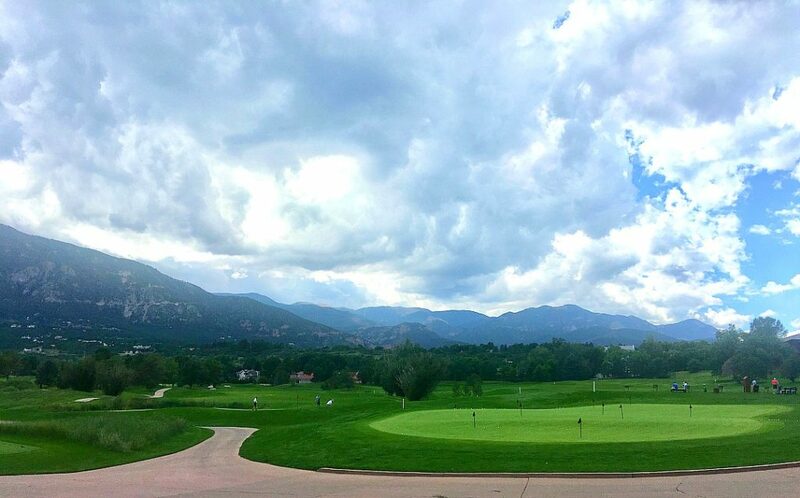 It’s a championship 18-hole course with year round access. 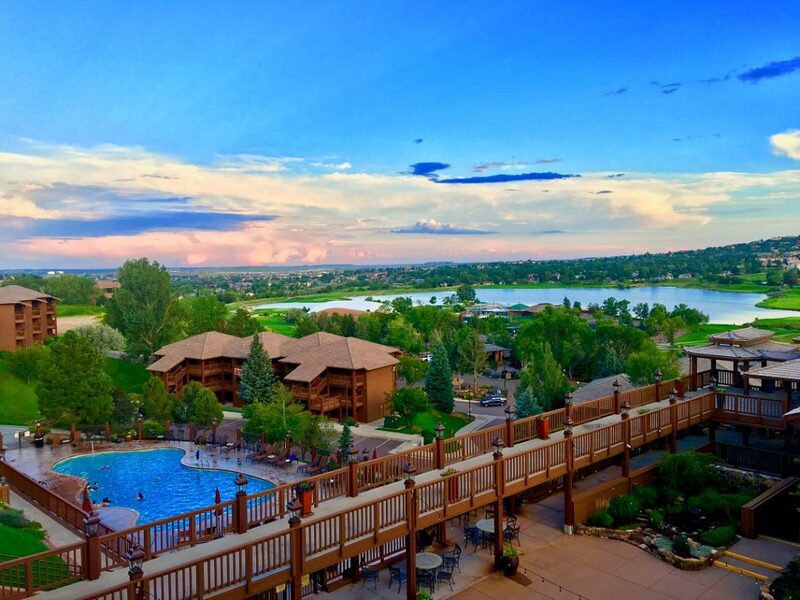 Between the lake and the mountains, you’re surrounded by natural beauty. 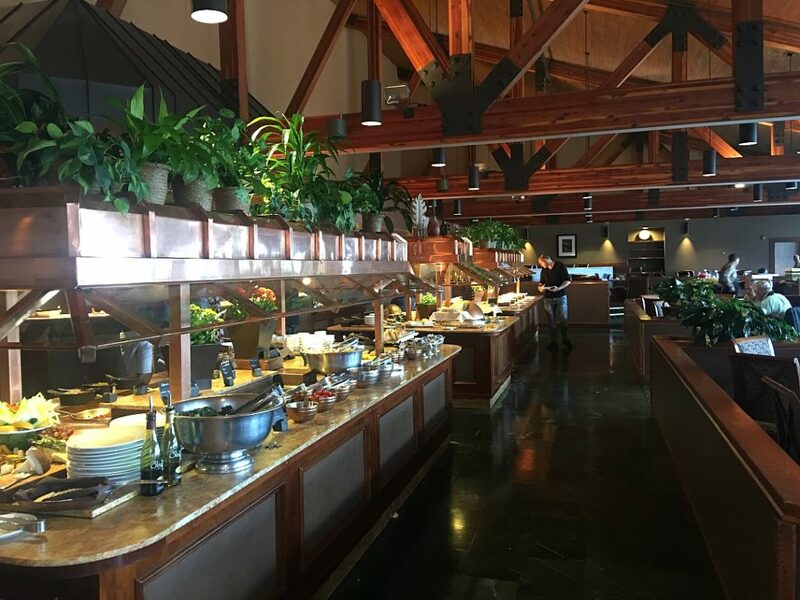 They really cater to golfers with a high end golf shop supplied with clothing and gear, and the Pineview Grille located close to the course for a convenient bite. After working up an appetite with all the activities on site, there are food options that really deliver. Big time. I was pleasantly surprised at how delicious the food was with a great combination of healthy options and comfort food. 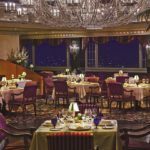 We enjoyed the award winning Champagne Sunday Brunch at the Mountain View Restaurant, and an even more wonderful dinner at Elevations. 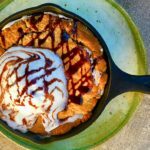 There are a lot of S’mores going on here with all the numerous fire pits, but the S’mores dessert at Elevations served up in a cast iron skillet with local ice-cream is amazing. 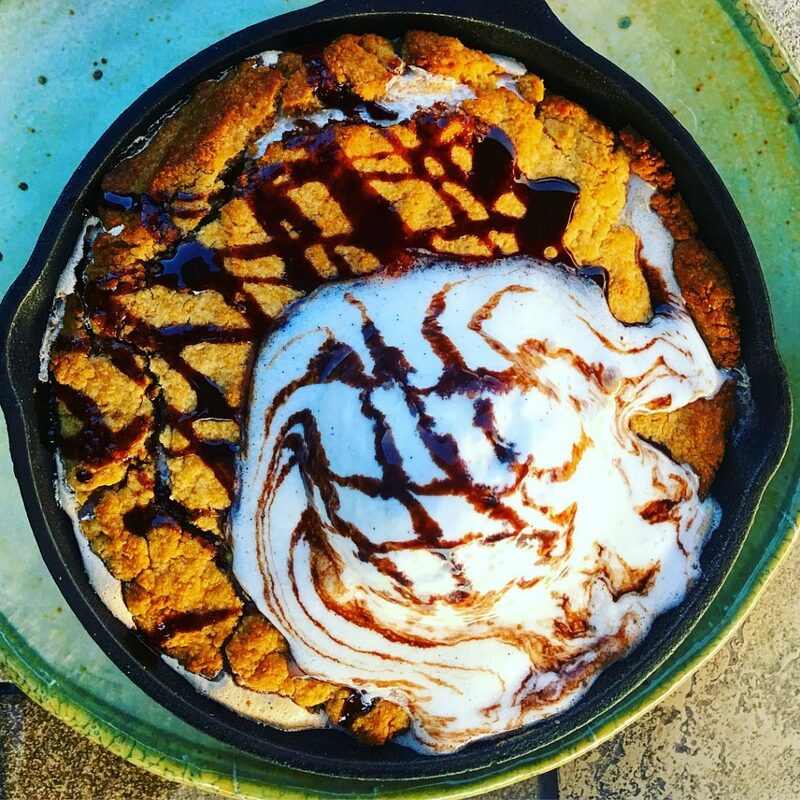 I’m not even a S’mores person, not at all. But this is an absolute must. It’s huge and plenty to share. Seriously, it was my favorite dessert of the summer. 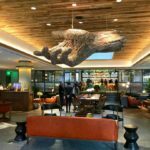 Elevations has an interesting, absolutely exciting menu. 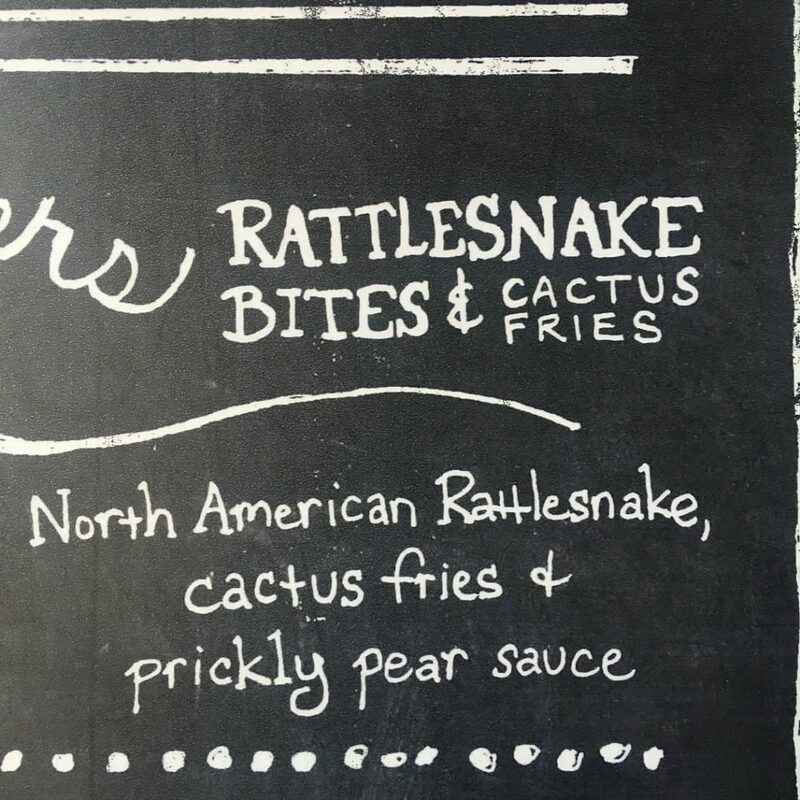 We wanted to try the Rattlesnake and Cactus Fries but they were out. Apparently everybody wants to try it and they can hardly keep it in stock. I had a fabulous huge salad and side of Beer Batter Onion Rings. It was excellent. 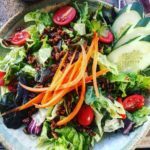 The salad was perfect with candied pecans and ultra fresh greens. 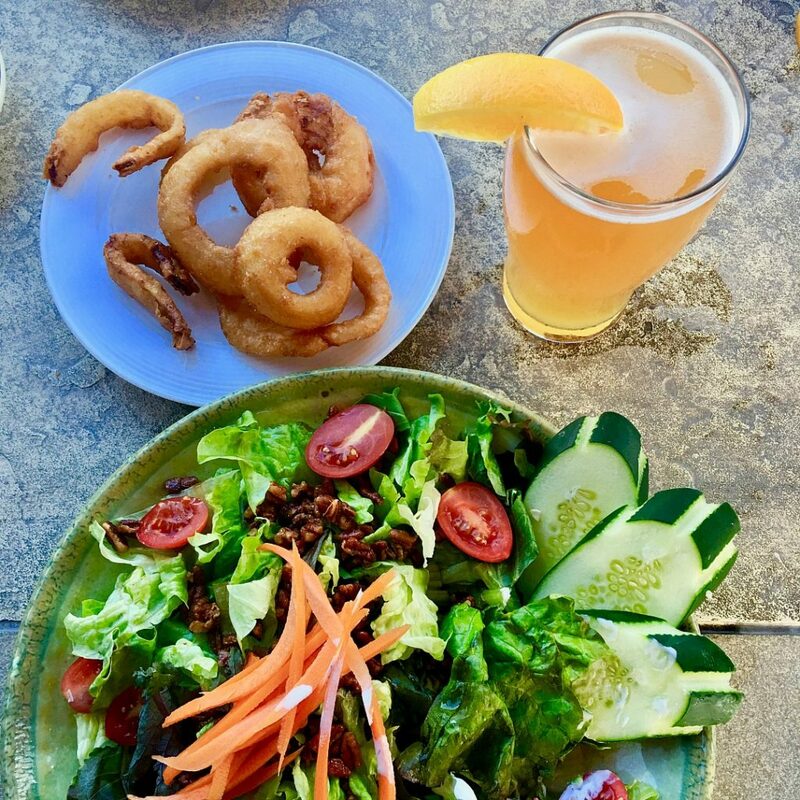 I haven’t had onion rings in ages and they were great with the salad and a cold Blue Moon. 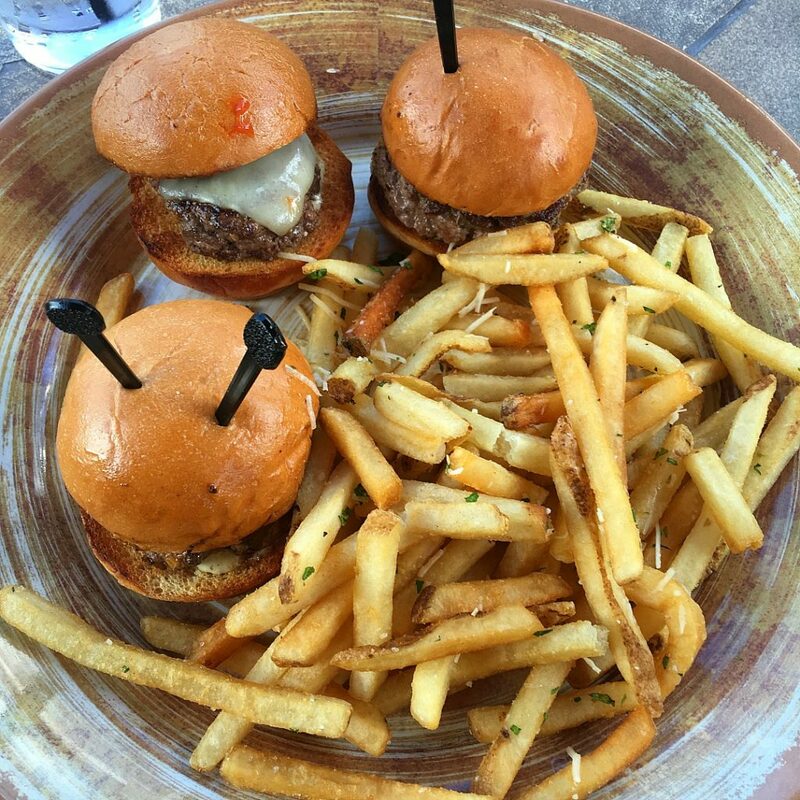 My son had the Wild Game Sliders with Elk, Wild Boar, and Ostrich served with Hatch Green Chili Aioli and Truffle Fries (I tried the fries and they were A+). He was happy with his food and was able to add more weird stuff to his food resume. We’ll have to go back some day to try the Rattlesnake. 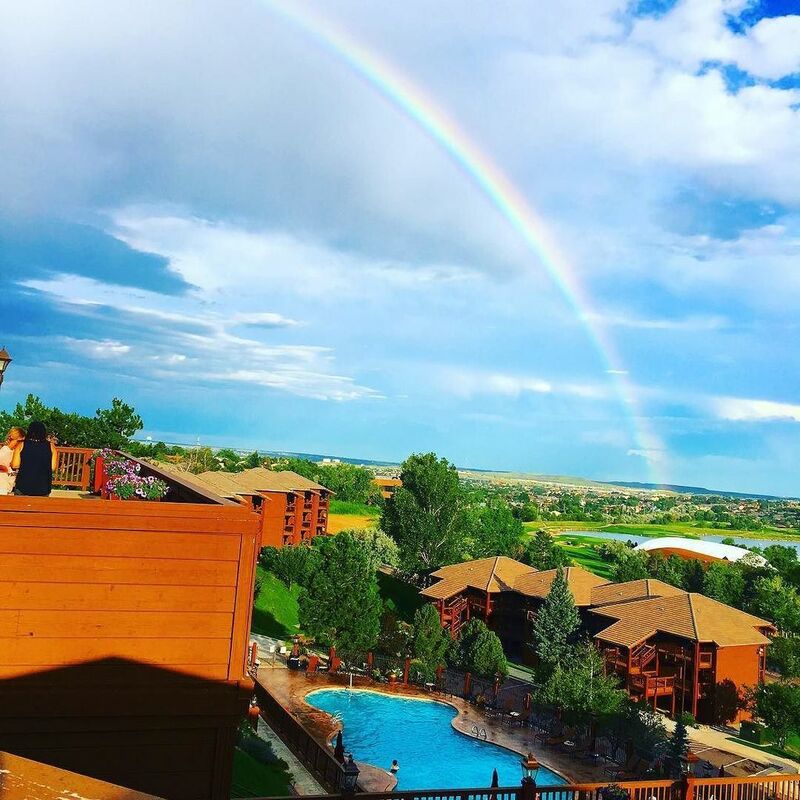 While we were there we got to see the most beautiful double rainbow framing the resort. The mountain views on the patio at Elevations are wonderful without the rainbow, but this was spectacular. 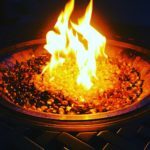 There are also fire pits galore. 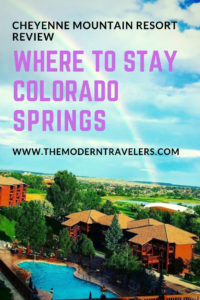 It’s a super relaxing place and if I lived in Colorado Springs, I would be a regular here for sure. 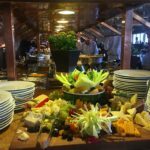 The Sunday Brunch was also impressive with everything you could imagine on the buffet. 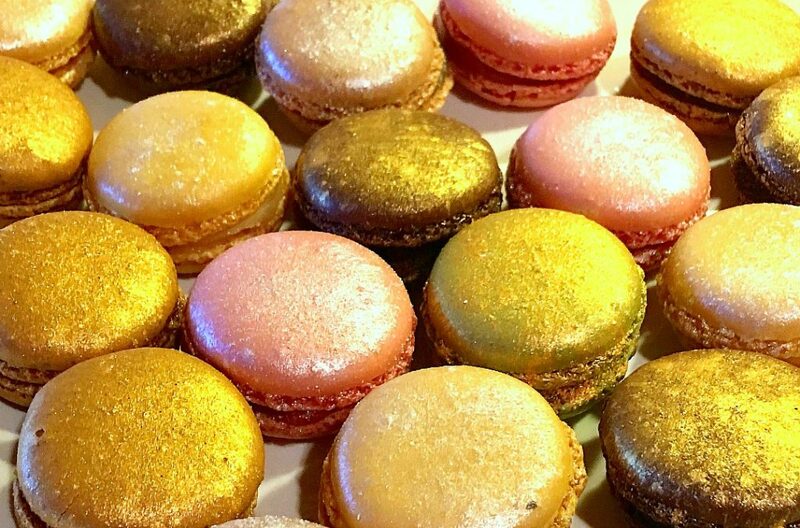 There were the classics, like omelets and Eggs Benedict, but there were also things to get more excited about, like metallic macaroons, a full salad bar, and savory monkey bread. 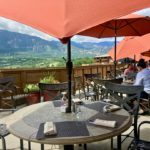 We got to sit on the patio and enjoy the mountains so we lingered, savoring the atmosphere as much as the food. 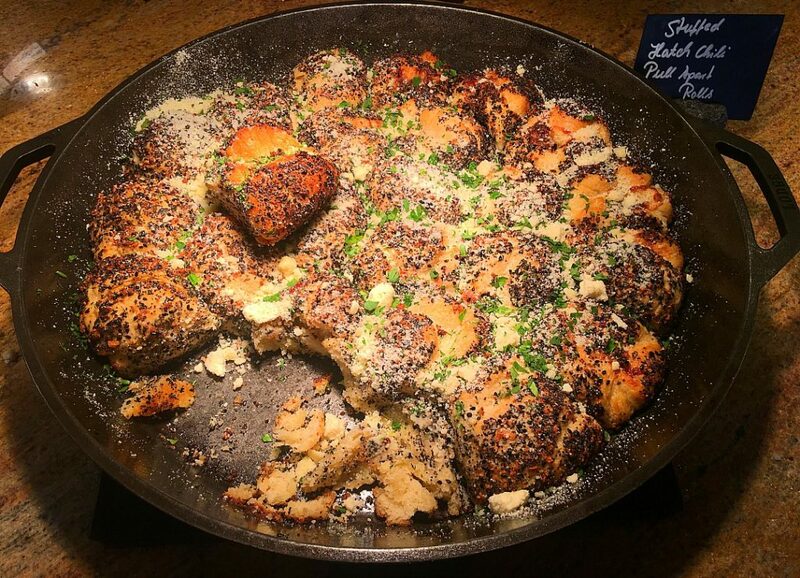 My favorite thing was the Hatch Chili Pull Apart Rolls served in a huge cast iron skillet. This combined with my salad was so delicious. It was that irresistible fresh-from-the-oven hot bread that melts in your mouth with the added flavor of yummy Hatch Chilies. 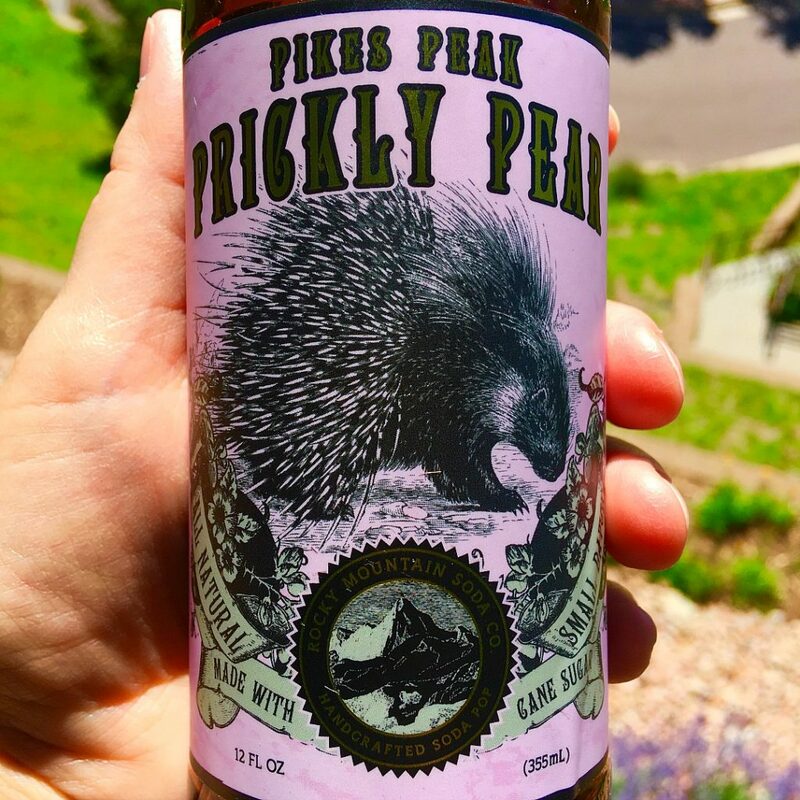 If you just want to grab a quick snack, there is a little cafe just off the lobby that has some fun stuff like this Prickly Pear Soda which is locally made and delicious. Isn’t that label fabulous? 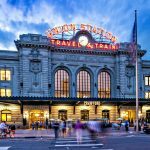 They also have ice-cream from Colorado Creamery, coffee drinks, and some fun souvenirs. 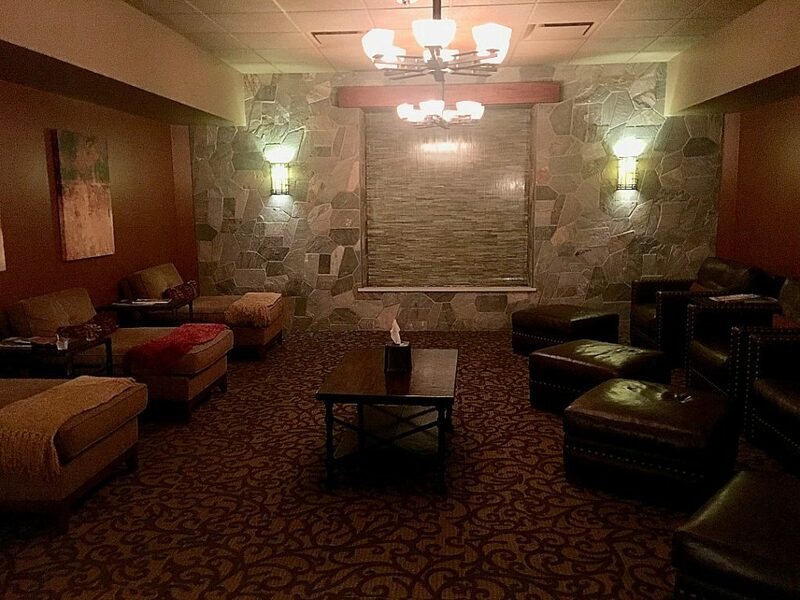 Alluvia Spa offers a nice respite for adults while kids enjoy the resort. 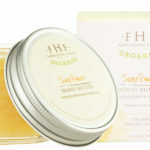 I had the Sunflower Recovery Wrap and was thrilled to find they use some organic products. My treatment began with an exhilarating, exfoliating scrub, then an application of nourishing warm balm. Then I was cocooned in a wrap to let the balm soak in while getting a lime oil scalp massage. The treatment ended with a divine island coconut body butter and my skin was so soft afterwards. I am used to living in a relatively humid environment, so when I go to dry places I turn into a lizard pretty quickly. This treatment was the perfect antidote to that. On weekends they offer S’mores and Dive-In (as opposed to Drive-In) movies with family friendly movies. Kids were having a ball, and it’s a treat for them to have evening activites. See the city lights in the background? It’s just as pretty at night as in the day. 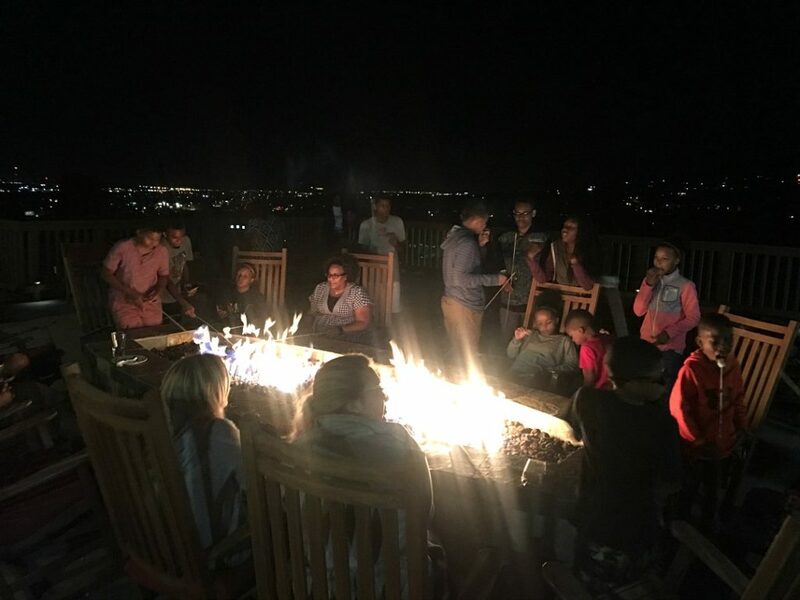 For a more adult experience, you can hang out by a large fire pit and rock in a rocking chair, isn’t that cool? 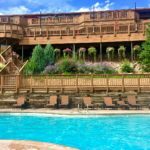 Even though the resort is huge, somehow it has a more intimate vibe to it and you get that satisfying summer at the lodge feeling without any of the overwhelm big resorts sometimes have. I bet it’s just as wonderful in the winter. 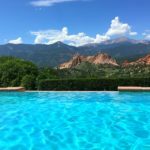 This is an ideal Colorado Springs resort for families. People with teenagers especially will appreciate the abundance of things to do–you probably won’t hear the words, “I’m bored” one time. I could have easily spent a week here. 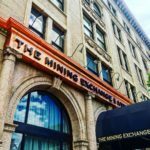 The people are so friendly and it is such a comfortable, positive place, I left wanting more. 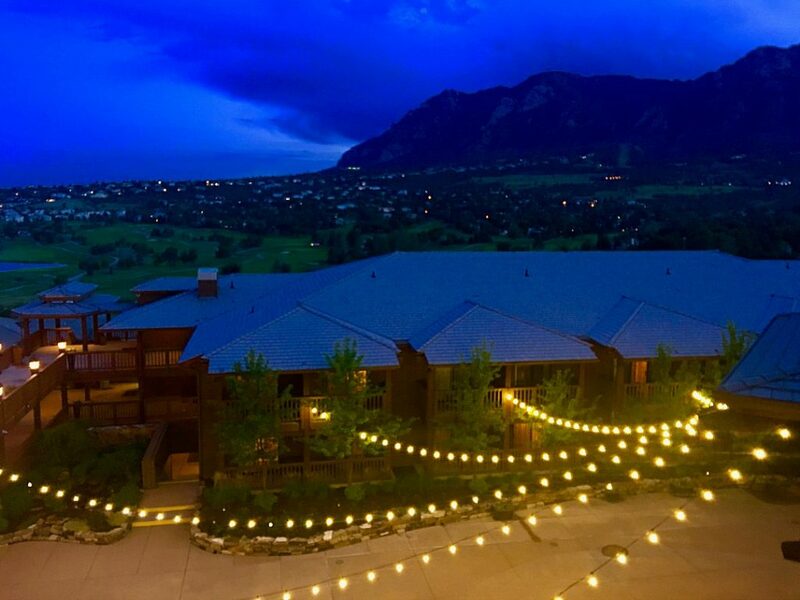 Find out more about Cheyenne Mountain Resort on the website HERE. 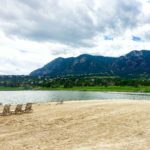 We were guests of Cheyenne Mountain Resort, opinions are my own.